Add a fun way to store your child’s favorite books to their bedroom with the Pillowfort Landry Low Profile Bookcase. 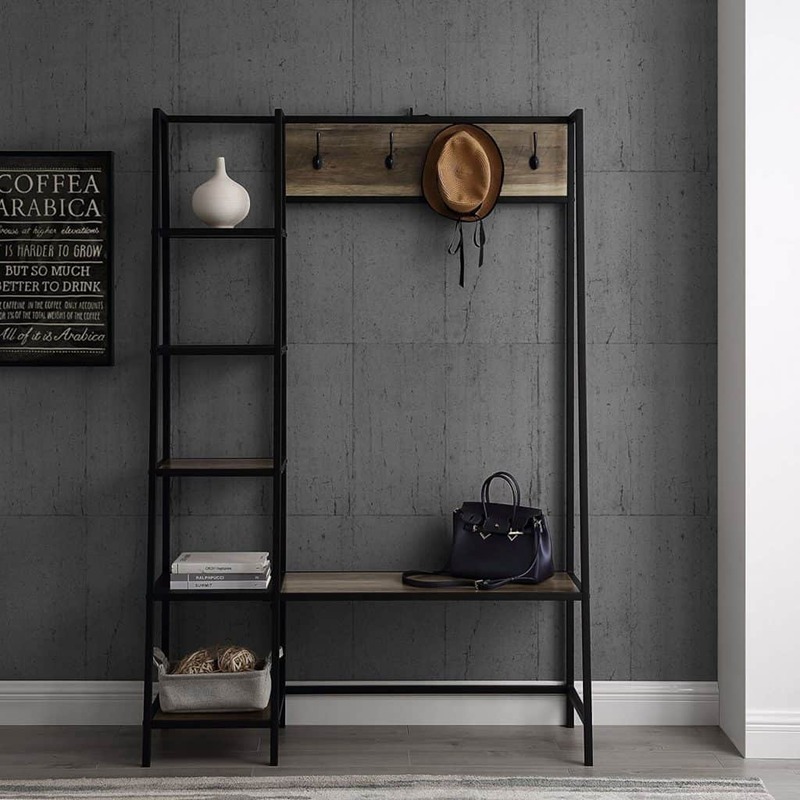 The Bookcase is made from durable MDF and particleboard laminated in a light, natural woodgrain finish and features sturdy white powder-coated metal hairpin legs that will ensure this Bookcase will last for years. The Bookcase stands at approximately 20″ tall making it a perfect height for your child. The 3 cubbies make organizing even easier by separating your child’s toys and favorite books. Find more Reading Corner Ideas for kids. I’m obsessed with sweater dresses, and these are just too cute. These Midi Sweater Dresses will keep you warm while looking trendy. Get these in three styles for just $15 (reg. $35). There are a bunch of colors available, and you’re going to want all of them. The knit fabric will keep you warm on cold mornings but it’s also breathable, so you can totally wear these when spring arrives. Pair these with your favorite booties or full size boots for a cute and classy fall look. If you’ve read Marie Kondo’s book or have watched her new Netflix show about tidying up and purging, you’re probably looking for ways to keep your home decluttered and organized. 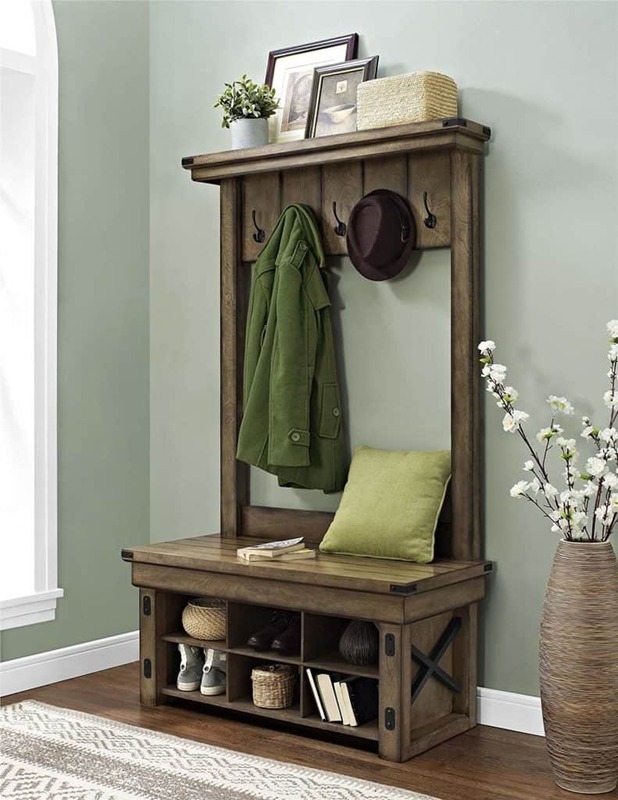 A hall tree is the perfect way to organize purses, shoes, kids’ backpacks and more in hallways and mudrooms. We found some great Marie Kondo Inspired Hall Trees for you to use in your home. 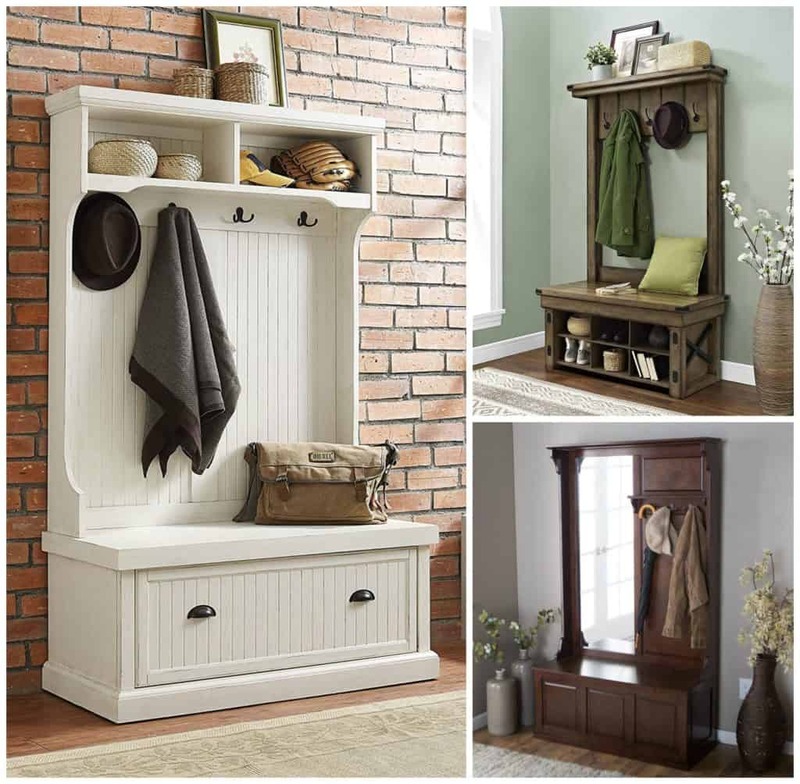 I love this white, paneled Crosley Furniture Seaside Hall Tree because it has a Cape Cod look. And, with a drawer, shelves and hooks, you can organize everyone in the family. Do you prefer an industrial look? You’ll fall in love with this Walker Edison Hall Tree with its metal frame. There is a wood panel that adds a little farmhouse flair as well. 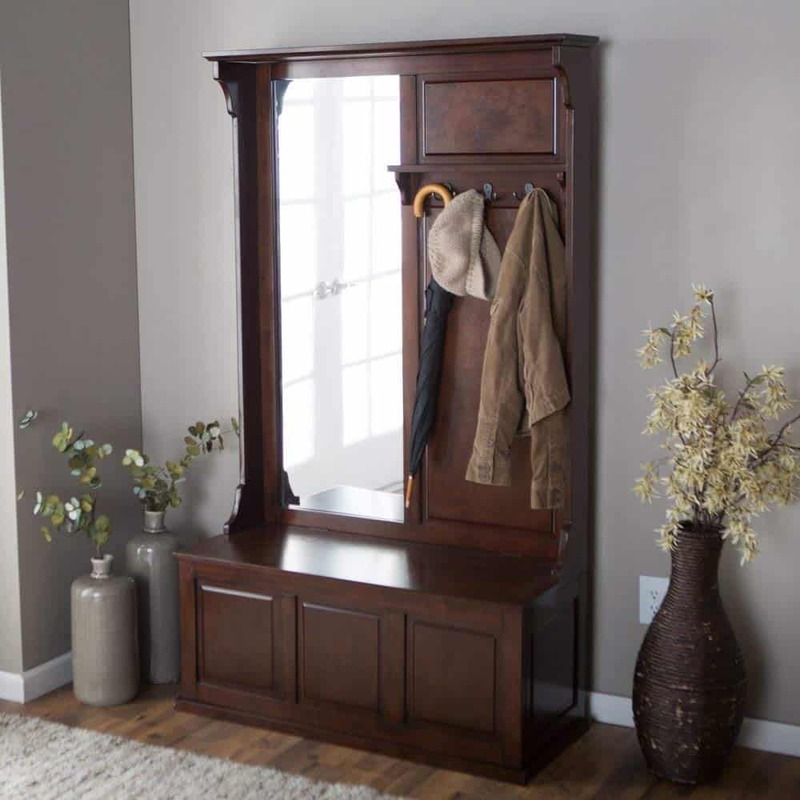 This Belham Living Lynden Hall Tree with Mirror has a gorgeous, traditional look with its espresso finished wood and real wood veneers. The mirror is a great addition so you take a final look before you head out the door. 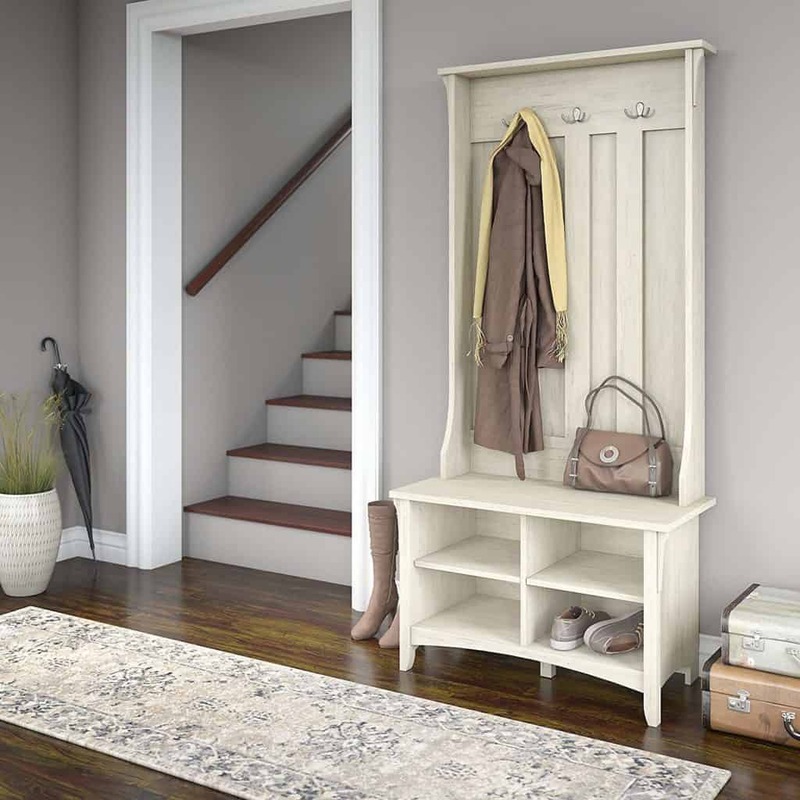 If you’re going for a farmhouse look in your home, this Ameriwood Home Rustic Gray Wildwood Wood Veneer Entryway Hall Tree with Storage Bench is the perfect one for you. I love the metal accents on the sides and all the storage space it has. 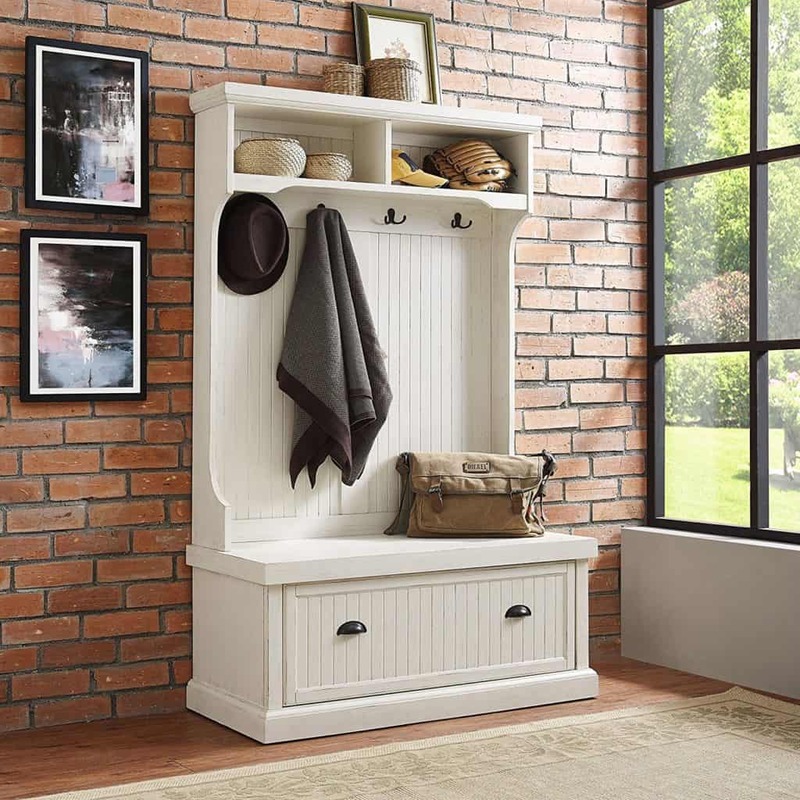 This Bush Furniture Antique White Salinas Hall Tree with Storage Bench is another option for a farmhouse feel. I love the antique white color and slight distress for a farmhouse look. 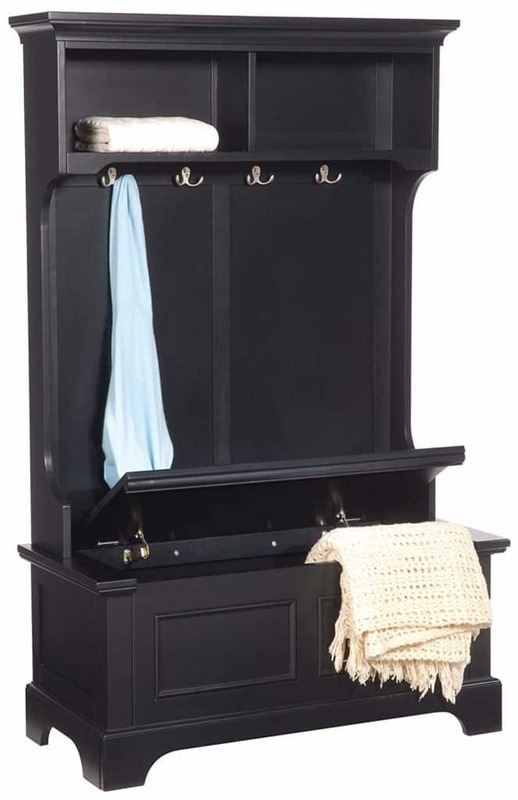 And, this Home Styles Bedford Hall Tree and Storage Bench with its black finish and molding at the top has a classic look that will look great in any home. You’ll also love all the storage you get inside the bench. Make one, give one! 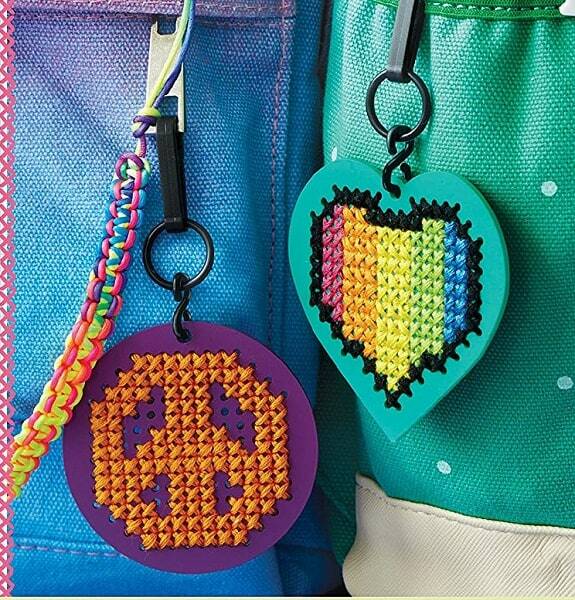 With this Klutz Bff Backpack Charms kit, you can cross-stitch six keychains to share with your BFF. Choose from 14 easy-to-follow design patterns to match your friendship. Whether you want to be total twinsies with matching keychains or you’re more of the opposites-attract type, you’ll have plenty of options to create the perfect pair. Wear them loud and proud to show off your bond with your bestie. There’s still plenty of winter left, and this is a great time to add some cute and warm new pullovers to your closet. Shop this Winter Pullover Blowout to get these sweaters for just $23 (reg. $78). There are several styles available. I am obsessed with the buffalo plaid in both the red and white. I also love the colorblock and sherpa pullovers. They look so warm and cozy. Throw these on over a tee with jeans or leggings, and you have the perfect, cozy easy outfit.